Otherwise email us to arrange an appointment to come to our showroom. 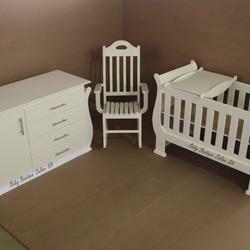 Baby Boutique Online SA manufactures nursery furniture at affordable pricing and excellent quality! If a celebrity like Riana Nel supports us, why shouldn't you?? We offer outstanding service as well as after service! We have been in manufacturing for more than 25 years and treat every client as if they are our only client! The photos you see on our online store www.babyboutiqueonline.co.za are our OWN photos. The item you order online, WILL BE the exact item you will receive! 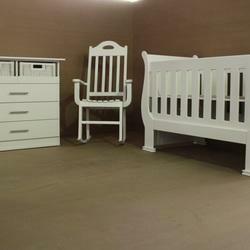 We are based in Kempton Park, Johannesburg and we deliver to all major cities in SA. Delivery charges will be billed separately. 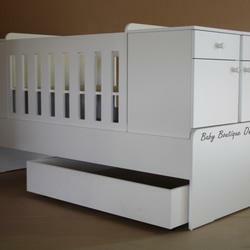 We absolutely LOVE our 5-in-1 cot combo. Rene you were so professional, efficient and helpful. Can't wait for our little boy to arrive to put the combo to use! I am very happy with the quality, service and price of the product, thank you. Wow ek wil net weereens DANKIE SÊ vir al jou moeite!! Ek is versot op die Baby Bugs Triplicity pram!!! Ek kan nie op hou kyk en staar nie! Die 2 boeties is klaar besig om die pram uit te toets vir wanneer sussie kom! Nogmals dankie! Jy's 'n ster! Lekker naweek. Great job.. Will most definitely refer my family to you. After many weeks of searching for a reasonably priced compactum which met all of our requirements, I was delighted to finally find one! The service received from Rene and her team was excellent from beginning to end - very friendly and efficient! The compactum arrived in perfect order, just as advertised. Thank you! So die kamer is nou ook reg! 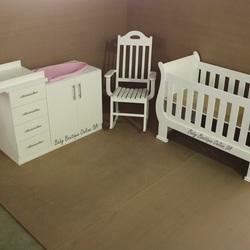 Awesomeste kot gekry by #babyboutiqueonlinesa - dit verander in 'n enkel bed met bedkassies en boekrakkie soos hy ouer raak! Dankie René vir vriendelike diens! We first met the Owners at the Flair Baby Market, where we were greeted with a warm welcome! 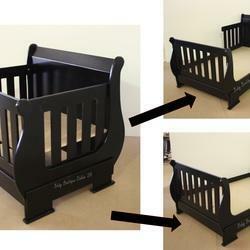 We ordered our 5-in-1 cot from them as their prices are amazing compared to the other manufacturers. 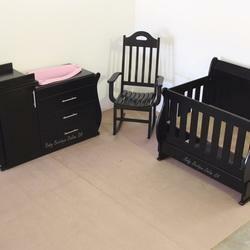 We always had constant and immediate feedback and we even got our cot earlier than expected. The fact that delivery took place on a Saturday was a big bonus which we appreciated! Delivery and setup of the cot was flawless and professional and the people were so friendly and helpful! The end product is beautiful and so neatly finished! What an amazing company!! You guys are awesome and we are so grateful for you!